One idea I take great exception to is the notion that understanding a bit about how something awesome works somehow destroys some special ability to appreciate the awesomeness of it. In my experience, it absolutely does not. 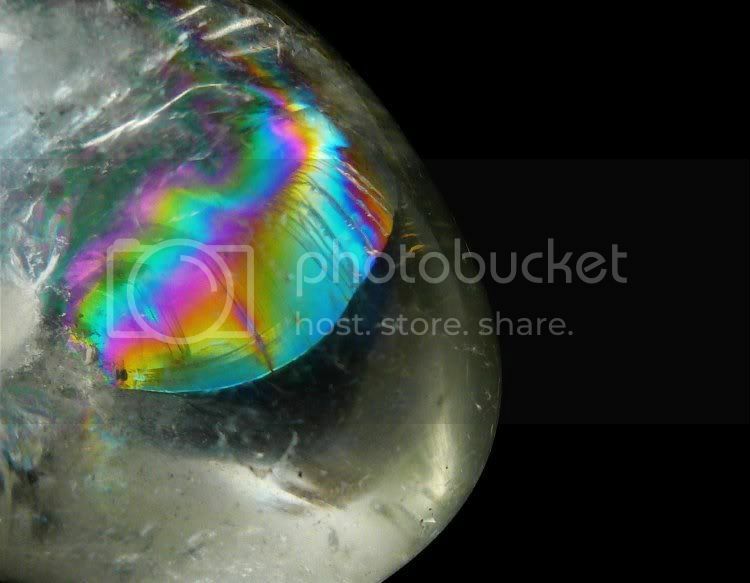 This is an example of thin film interference, where light reflecting from the top and bottom of a crack in a polished quartz pebble destructively interferes with itself. It's damn pretty, whether you care to follow the maths or not. And I agree with you. In fact, I often consider something more interesting if I do know how it works. For example, a plane taking off is always a marvel to me. I have a rough idea of how it is done, but that certainly doesn't make it any less amazing. The coolest thing about planes for me? The way they scale up! You know you're preaching to the choir where I'm concerned. It's very pretty. I figured. I'd just like to find a gentle and effective way of showing people who think otherwise that it's not me who's missing out. Thank you - this phenomenon is not wtf to me so I wouldn't have thought to post it to wtf_nature, but if it is to you then please go ahead and link.